Cutting: Our top ranked Paso Robles wine is an incredible value featuring raspberry, black cherry, vanilla, spice and cocoa characteristics. The Castoro Cellars Zinfandel was our top ranked wine in the Paso Robles tasting based on its lovely raspberry, black cherry, vanilla, spice and cocoa aromas and flavors. Some tasters observed licorice flavors on the long finish. 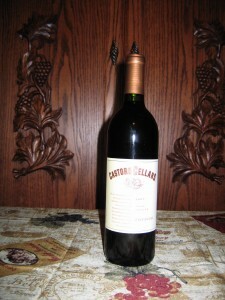 The Castoro Cellars Zinfandel ranked n worse than second among any taster. An incredible value that all Zinfanatics should enjoy.